The Founder and the Correspondent also been periodically visiting the school and guiding children. 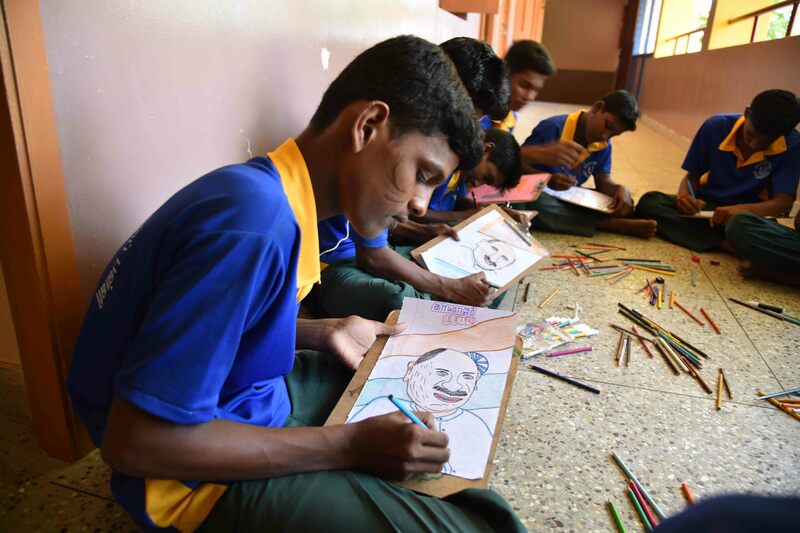 Unmindful of their handicap, the students are trained to develop their self confidence. Along with academic nourishment, teachers help the students cherish good values: they teach them games, tailoring and drawing. Computer training has also been given. They are encouraged by awarding them shields and other prizes. Depending on the percentage of their deficiency, the students are given speech therapy by specially trained teachers and enable them to speak and learn by hearing.